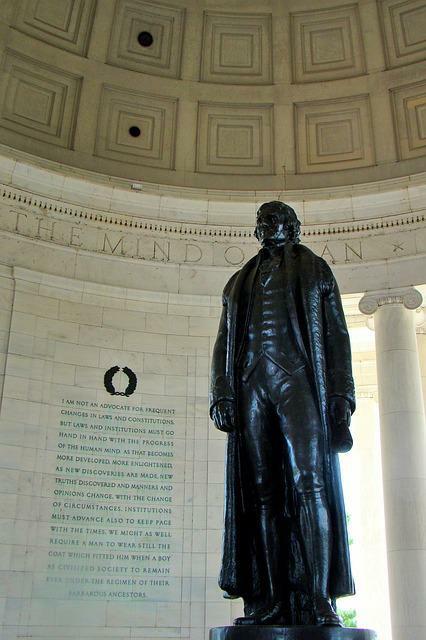 Music, and its importance, ran throughout Jefferson’s life. as his wife too had a love of arts. Martha was a guitarist and pianist, a connection that was sure to strengthen the marriage between the two. One of the first Presidents to push hard for the annexation of Texas, it’s only ironic that the state’s most famous city, Austin, would become known as the “Live Music Capital of the World.” As a child, Tyler dreamed of becoming a concert violinist, after being taught to play for years by his father. Despite his love of the violin, Tyler decided to study law, which landed him the job as the 10th US President. After his Presidency ended, Tyler retired and found himself spending most of his free time playing the violin and fiddle. He commonly held parties, in which he would entertain guests with his talent. At times Tyler and his wife Julia, a guitarist, would duet. With 15 children to take care of, some have even said that Tyler organized his kids into a minstrel band. When thinking of past U.S. Presidents, Chester Arthur probably isn’t one that comes to mind very often. Though most notable for his sideburns, his run as the 21st president only came after President James A. Garfield was assassinated. After one term, Arthur declined to seek reelection, due to failing health. If there’s one thing Arthur can be noted for though, it was his love of playing the banjo. As an outdoorsman, Arthur would typically spend a lot of time playing his banjo. Woodrow Wilson grew up playing the violin though, once he got older and approached adulthood, he found that his passion become more of a pastime. Instead of taking hours to play the violin, fiddling around was now a more appropriate term. Even though politics, and an eventual Presidency, took reign, Wilson never lost his appreciation for music. In fact, during World War I, Wilson was quoted as saying, “Music now, more than ever before, is a national need.” Instead of calling for America to look elsewhere for comfort and morale, Wilson knew from his childhood, that music would be able to pull society through the darkest months of WWI. Sadly, there are no recordings or videos of Wilson playing violin, so we can only imagine what his talent level was truly like. Despite his love of politics seemingly taking the forefront over his passion for piano, Truman was able to combine the two. In 1952 he played, during a televised tour of the White House. He had also shown his talents at festivals, and even played a tune for Joseph Stalin. It has also been noted that Harry and his daughter Margaret would sit and play the piano together during his spare time. While he may or may not have been a crook, Richard Nixon was one thing for sure – a great pianist. Despite his years in the White House being clouded with debates and scandals, Nixon is also notable for his ability to not only play the piano, but write songs for it as well. On March 8, 1963, on Jack Paar’s Tonight Show, Nixon played a short piano concerto that he in fact wrote on his own. Nixon displayed a relaxed and charming attitude during his performance. Nixon found himself back behind the piano years later, during a performance at the Grand Ole Opry in 1974. His rendition of “God Bless America” had the crowd singing along and thoroughly enjoying themselves. Little did the audience know that months later, Nixon would be resigning due to the Watergate Scandal. 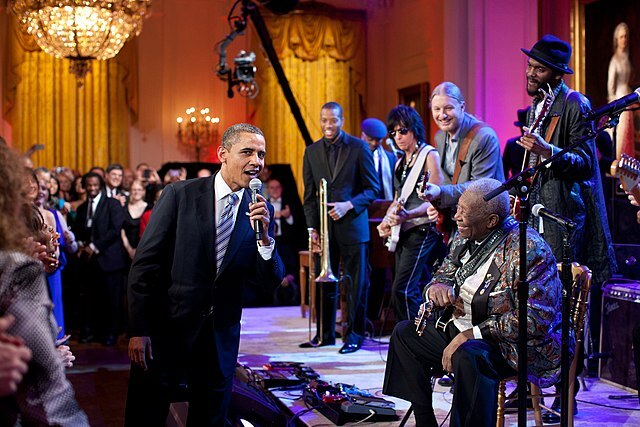 Thought his musical talent has yet to fully flourish and come to light completely, some of today’s most famous musicians are looking for Obama to unleash his musical side. In fact, legendary rapper and music producer, Jay-Z, has asked Obama to sing at his “Made in America” festival. Damn. No presidential bassists, guitarists or drummers. Now that is something I would like to see. I’ll run, just so we can fill in this gap. I also play the Appalachian dulcimer…. # 4. Leave it up to Good Ol’ “Give ’em Hell Harry” Harry S. Truman for his quote about that there is very little difference between a piano player in a whorehouse or being a politician. I had to laugh out on that one. This List is American biased! Doesn’t Jimmy Carter play the Juice Harp? I don’t think you know what irony means. Wasn’t George Washington also a flautist? The way you have it here makes it a mathematical term….